This is just one of the recommended places whom my Dad-in-Law's favorite Restaurant's in this neighborhood. 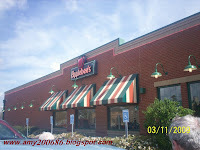 Considered as the largest casual dining chain in the world. What I love most about this place is the friendly and welcoming atmosphere and the service they input to the customers. Imagine a store manager or a store supervisor greets us in a casual manner and all you could feel is a connection of comfort while you dine in. Maybe, it is not the same experience with what you have in other places but here, this is the right place to entertain a family dining out. 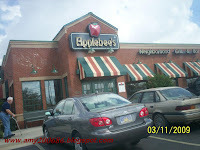 If you happen to visit Ocean Springs, Mississippi, visit Applebees at 1601 Bienville Blvd or call them at 228.872.8270.